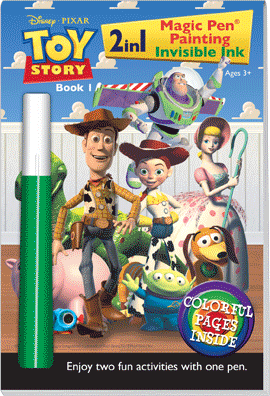 Special Toy Story adventures with the amazing pen producing a rainbow of colours and images instantly! A fun and easy way to paint with 23 easy tear-out pages AND no mess. 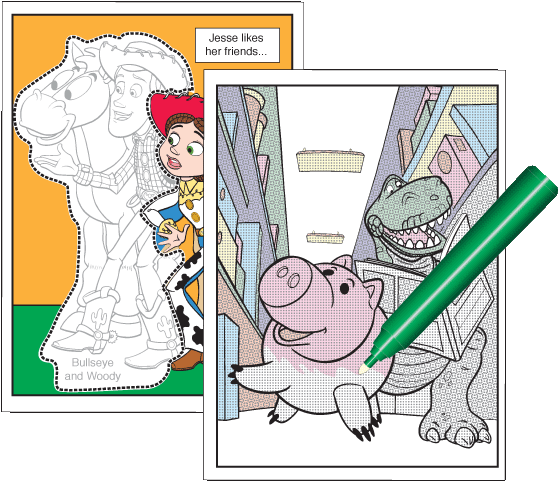 fill in the dotted area and invisibly printed pictures and words appear...like magic. Buzz Lightyear and Woody are two great friends on one big adventure. 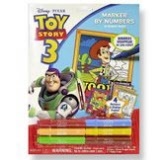 Make the numbers disappear with you bright markers and bring the toy story pictures to life! Comes with 4 pictures and your own display frame.